Within 2 miles of the SBC Center and Willow Springs Golf Course, Red Roof San Antonio - Ft. Sam Houston is 5 minutes from Freeman Coliseum, AT&T Center, and Fort Sam Houston. San Antonios fabulous Riverwalk and Henry Gonzalez Convention Center are both just 5 miles away, and Santa Rosa Hospital and University of Texas San Antonio are only 6 miles form this hotel. Red Roof San Antonio - Ft. Sam Houston is just 7 miles from McNay Art Museum, 11 miles from San Antonio International Airport, and 15 miles from Lackland AFB. 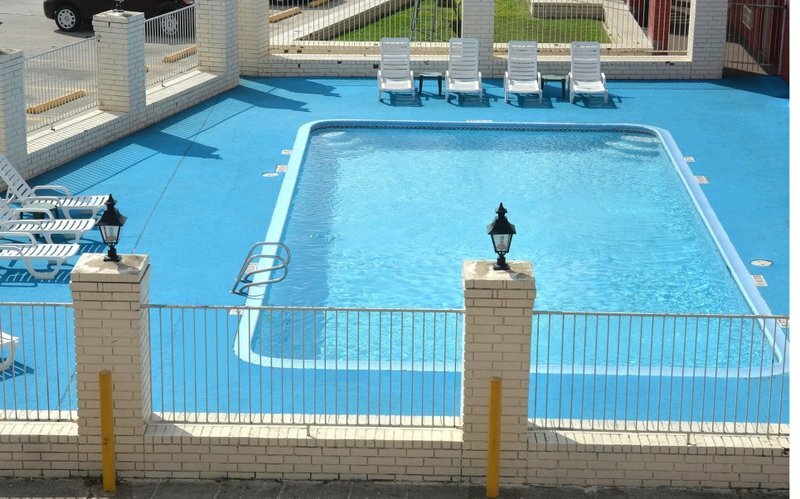 Welcome to the Red Roof Inn San Antonio-Fort Sam Houston in Texas! This hotel is a pet friendly, family friendly hotel. The Red Roof San Antonio-Fort Sam Houston is in East San Antonio close to the ATT Center, the SBC Center, Freeman Coliseum, Henry Gonzalez Convention Center, Santa Rosa Hospital, University of Texas San Antonio and the San Antonio International Airport. Visit local attractions including San Antonio Splashtown, Willow Springs Golf Course, the San Antonio Riverwalk and McNay Art Museum.